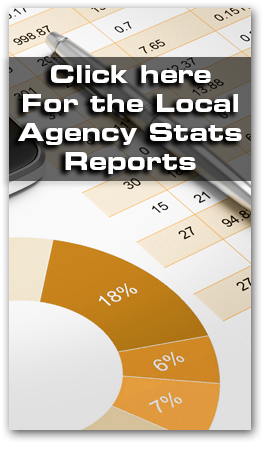 Friendly reminder: ALL AGENCY STATISTICAL FORMS MUST BE SUBMITTED BY THE 10TH OF EACH MONTH. ALL POUNDAGE FROM AGENCIES WHO PICK UP RETAIL DONATIONS MUST BE SUBMITTED BY THE 1ST MONDAY OF THE FOLLOWING MONTH. EXAMPLE: ALL DONATIONS PICKED UP IN DECEMBER SHOULD BE SUBMITTED BY JANUARY 2, 2019 (NOT THE 1ST BECAUSE OF THE HOLIDAY). YOU CAN SEND THESE POUNDAGE REPORTS TO TOMMIE HARNER VIA EMAIL: TOMMIE@WOFB.ORG. THANK YOU. Orders are taken Monday through Thursday from 8:30 a.m. until 4:00 p.m. and Fridays from 8:30 a.m. until 12:00 p.m.
All orders may be placed during these time frames or emailed 24 hours a day. To complete your order efficiently, we require a 24 hour notice for agencies who are picking their order up and a 48 hour notice for agencies who receive a delivery. Orders that are placed anytime during Friday, Saturday or Sunday by email will be completed, in the order received and ready to pick-up on Tuesday or delivered on Wednesday. Please note: ONLY TEFAP contracted agencies are eligible to order ACP (state produce), OFP (Ohio Food Program), and USDA (federal commodities). Thank you. “Do member agencies have to display all translated versions of the TEFAP household eligibility guidelines (including the application) or would the English version be sufficient?